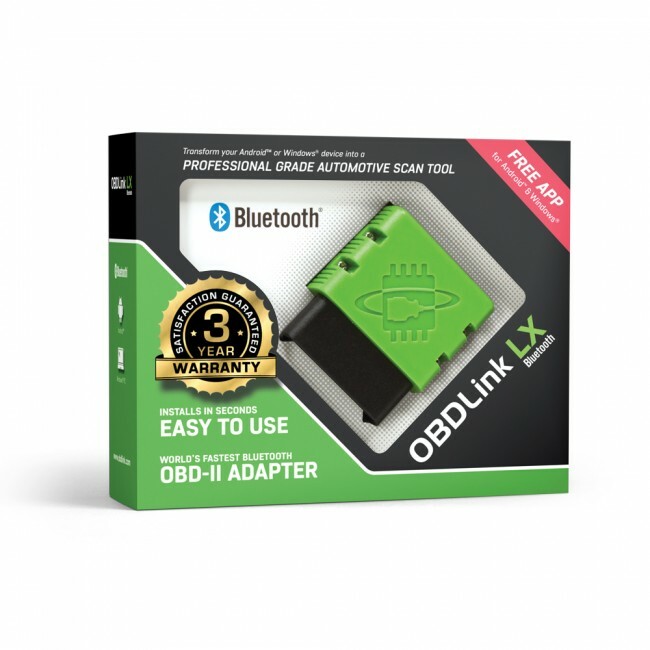 OBDLink® LX is a Bluetooth OBD-II adapter that can turn your smart phone, tablet, or laptop into a sophisticated diagnostic scan tool, trip computer, and real-time performance monitor. LX offers unparalleled performance, delivering up to 4 times as many samples per second as the closest competitor. 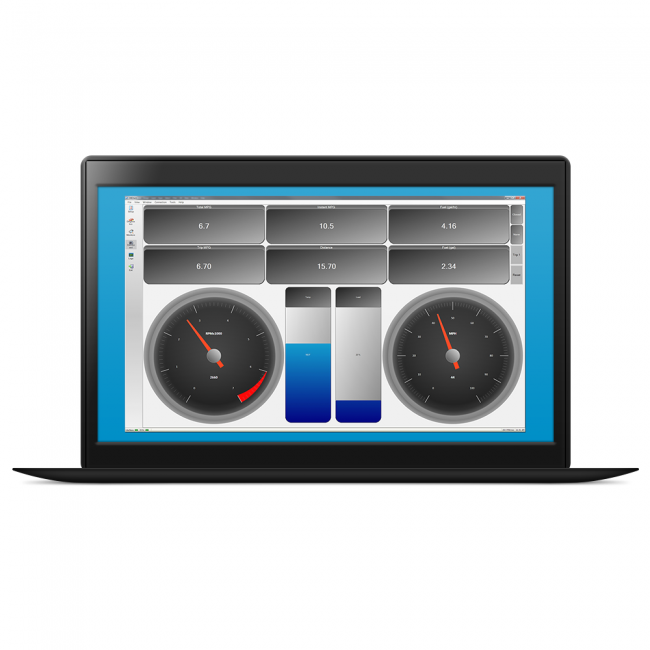 The ultra-fast response times let you enjoy accurate, detailed graphs and smooth, realistic virtual gauges. 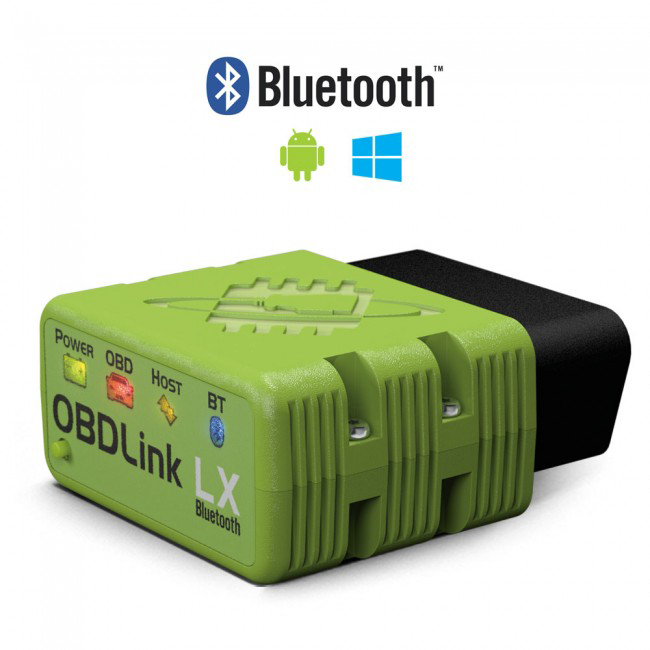 OBDLink® LX is a budget-priced, pocket-size Bluetooth OBD-II adapter for all OBD-II compliant vehicles (except hybrid or electric vehicles). 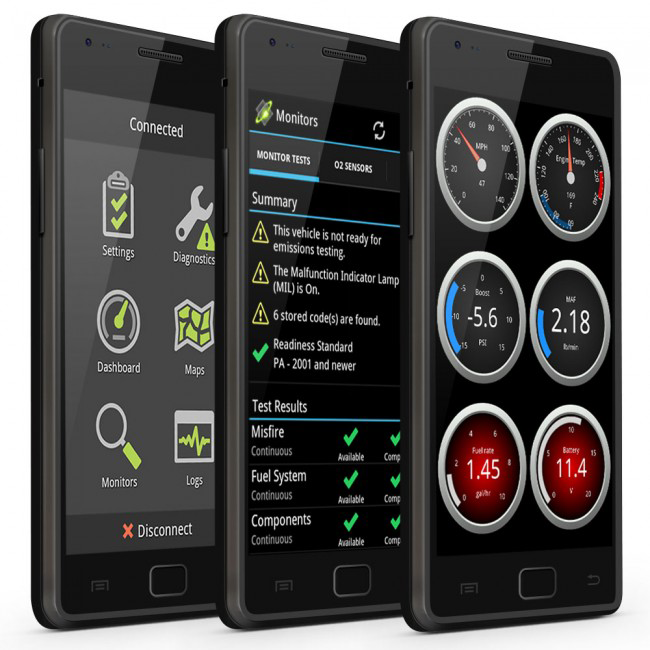 It can be used as a diagnostic scan tool, trip computer, logger, and real-time performance monitor. 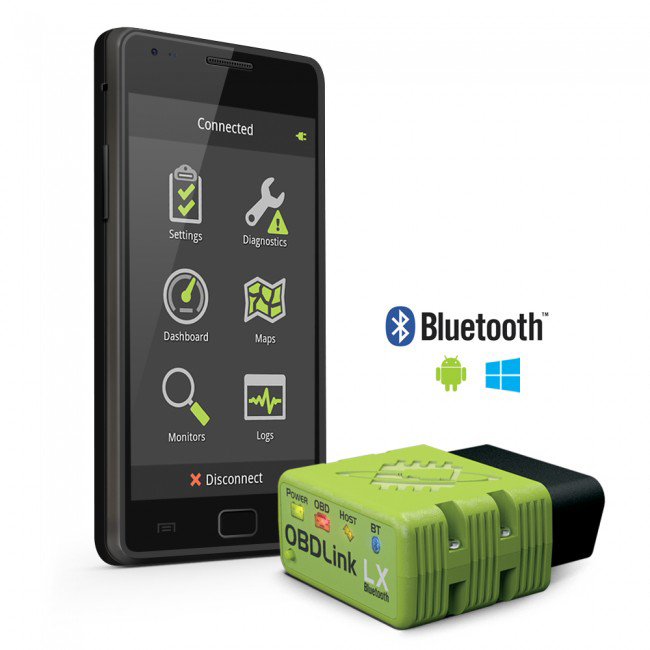 OBDLink LX surpassed performance in every competing Bluetooth OBD-II adapter, delivering 300% more data samples per second. Its BatterySaver™ sleep mode allows the adapter to stay plugged in continually, without draining the vehicle’s battery. 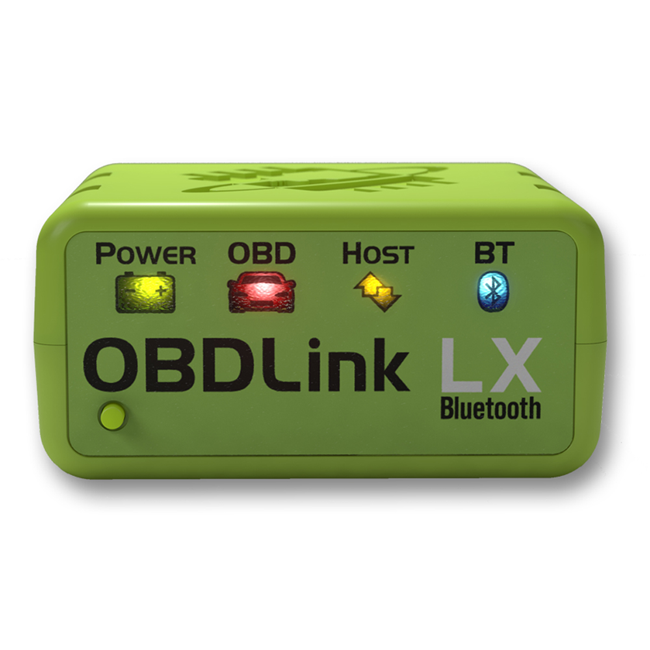 Unlike the vast majority of Bluetooth OBD adapters, which constantly broadcast their presence and use an easy-to-guess 4-digit PIN, OBDLink® LX utilizes a unique multi-layered link security mechanism, eliminating the risk of unauthorized access. 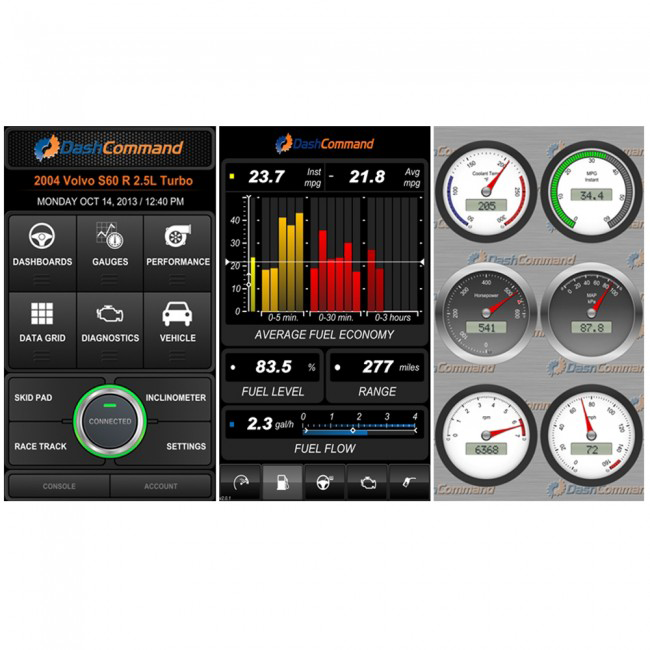 OBDLink LX’s support of the de facto standard ELM327 command set, makes it compatible with tons of third-party OBD software and mobile apps. 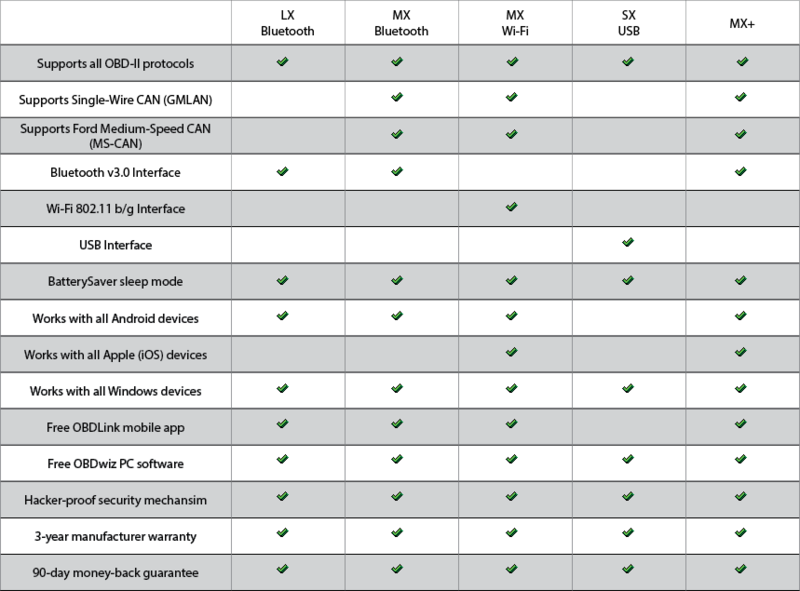 OBDLink® LX comes with an unconditional 90-day money-back guarantee, and a 3 year warranty. Technical support is offered through our Community Forum which is monitored by ScanTool.net Team Engineers: OBDLink® LX board. Very pleased with the product, it works as advertised and then some! -Product is small and unobtrusive, ideal for my application. -Installation and Bluetooth connection to my android device was easy. -OBD code reading and clearing is very simple. -Scanner tool provides access to real time diagnostic displays in an easy to interpret manner. -Bluetooth connection is unstable in some mobile devices, dropping the connection in the middle of a diagnostic session or real time monitoring. I develop OBD BT apps and this dongle is top notch. Reasons are: 1-it actually conforms to the ELM spec for AT commands. This means it will work with any of the Android apps you are using. 2-It has a very low power mode (2ma) that it enters when not connected to BT so it will not drain your battery if you leave it plugged in to your car for long periods. It is not to the latest ELM 2.1 spec but at the 1.4 level. I was told the manufacturer will release a firmware update to include the 2.1 features. For the price it should be the latest ELM 2.1 spec compatible. The device is simple and easy to use. I like that dashboards and displays can be customized to the information YOU want to see in digital, analog, large or small displays, etc. I imagine the available data depends on your vehicle, I have access to more information than I could possibly care to know about the car. I had to pair it twice before it connected but haven't had an issue since. Vehicle speed is spot on. Other things like fuel level and temps are spot on as well. Some of the app calculated values aren't very accurate. I bought this as a toy mostly just because I can set up my phone in the car mount and display more information than I would be able to on the vehicles gauge cluster. I installed this on a 2008 Honda Ridgeline (9141-2 OBD2 protocol) and it paired right up with no issues. I like the ScanTool app available on the Google Play store too. In addition, I also use Torque Pro. I found that I cannot run both Torque Pro and the ScanTool app at the same time. The ScanTool app has a connect/disconnect button at the bottom of the screen. If I want to use Torque Pro after using the ScanTool app, I first have to disconnect using that button before running Torque Pro. And if after using Torque Pro, I decide to use the ScanTool app, I have to quit Torque Pro, crank up the ScanTool app, and hit the connect button. I find both apps to be very useful, so that's a minor hassle in order to use both. I only wish they could both be operative at the same time so I could flip back and forth between them. I don't know if that is a limitation of Lollipop, BlueTooth, or the adapter. Regardless, I find the adapter to work and function as advertised. I am pleased with the product. Works as advertised. The cheaper readers might be cheaper, but doesn't compare in regards of how solid and fast this device is. That alone deserves a consideration. There is very little to no lag when polling data from my car and displaying it. I was a bit surprised at first just how easily this did connect, and even more pleased at how it reconnects each time to either my tablet or phone. This is the tool to get if you need an OBDII scanner. There is plenty of selections out there, but for an Android user like me, this is a perfect tool to work with. For Android, you can download the free OBDLink scan tool, but I haven't quite figured out how well the app supports multiple-vehicle profile. 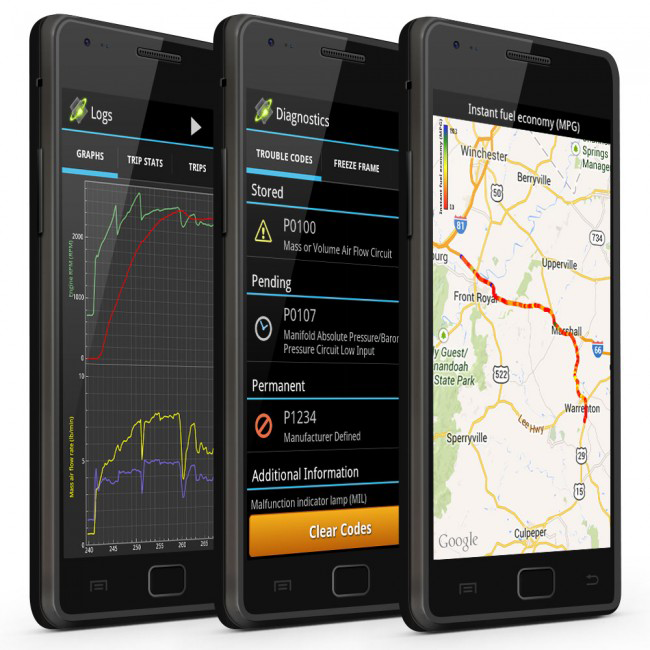 If you have multiple car sharing this one little tool, you can purchase Torque app on Google Play. 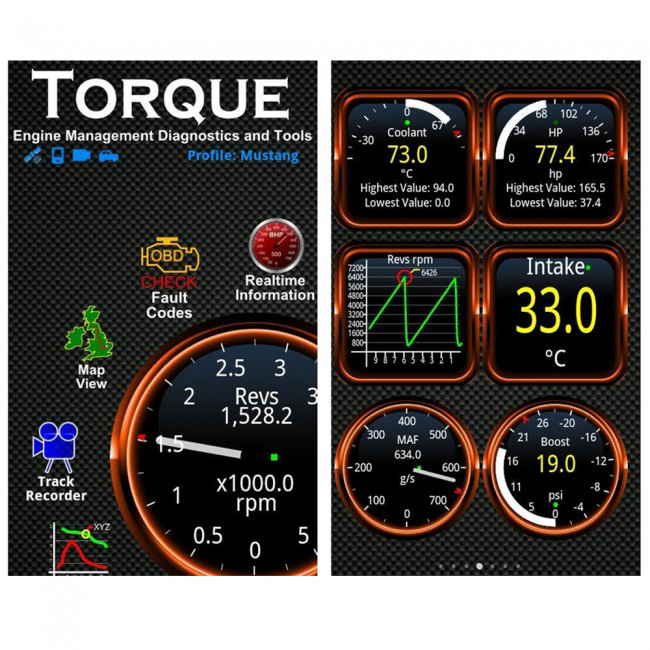 Torque allows you to set up the vehicle profile once, and be done with it for life. A couple things to keep in mind on what the tool can do for you. You can definitely use it to scan for faulty engine code, so you don't have to make a trip to O'Reilly's/AutoZone/AAP for engine code scan. In addition, you can reset the engine codes, and verify the issue after driving for 30 min or less. If you plan to get your car state-inspected, you will definitely need to drive your car for about 30 min, so you don't automatically fail the test. Other neat feature includes real-time monitoring of the vehicle data, including but not limited to engine temperature. In fact, because of this tool, I was able to detect abnormal engine temperature while driving and took corrective measures (adding for engine coolants) before the car breaks down on freeway. In all seriousness, within a week later, it detected a failed upstream oxygen sensor. Since I knew what went wrong, I was able to buy an oxygen sensor online and figured out the repair on my own. After that, the same vehicle passed Texas State Inspection. In all, I gained the knowledge on how to replace oxygen sensor and not have to throw money at a local mechanics. Good scan tool, with nice features like sleep mode that make it worth the price. This thing is wonderful! It took a few minutes to get setup.. the quick start instructions didn't say I had to hit the little button on the unit to initiate pairing mode, but once I looked up the instructions on the website it was a piece of cake.